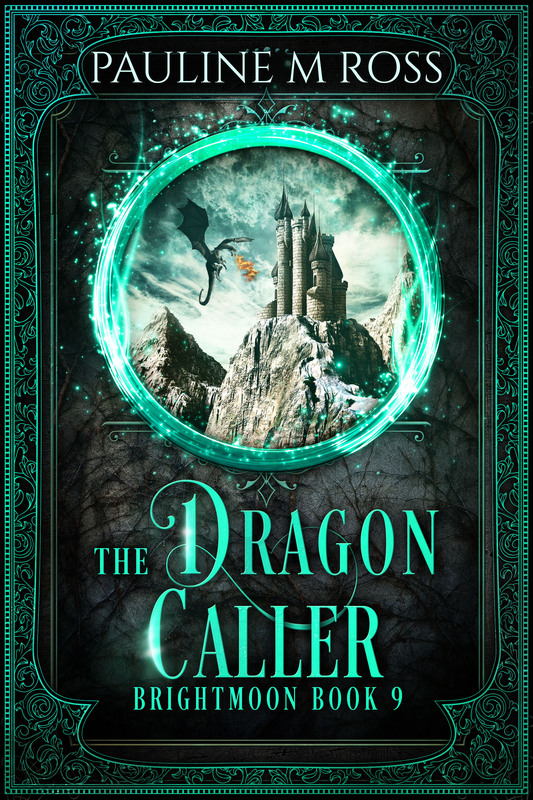 The Dragon Caller is the ninth book set in the Brightmoon world. It continues the story of two characters first seen in The Dragon’s Egg – Garrett, the former hustler, warrior and gambler, and his son, Ruell, the dragon-obsessed child who’s now all grown up and finding that his dragon-dreams are more real than he’d imagined. The dragons are coming, and they’re NOT happy! This is a stand-alone story – you don’t need to have read The Dragon’s Egg or any other Brightmoon story to enjoy it, although those who have read the whole series will recognise a number of familiar characters. Ruell knows he’s different. At night, intense, lucid dreams take his mind far away, flying in dragon form over the oceans and coastal forests. It’s as if he’s in the dragon’s mind, seeing everything they see, feeling every sensation of their raw majesty. In his dreams, he’s the most powerful being in the world, not an oddity. Could the dreams be real? Could he be the first Dragon Caller in thousands of years? If so, he has no idea how to control this power and the dragons are coming to find him. The only people who may be able to help are halfway across the continent, and he doubts he can reach them before the dragons arrive to spew their fire over him and everyone dear to him. Garrett wants to protect his son, and he’s learnt a trick or two in his time, but if Ruell really is a Dragon Caller, every king and lord and petty tyrant will want to exploit his power, and they won’t ask nicely. Garrett and Ruell will find themselves in the middle of a war for dragon power, because whoever rules the dragons rules the world. And if nobody rules the dragons, there’ll be nothing to stop them taking over the world. The battle will be for the very survival of humankind. The Dragon Caller is written by Pauline M Ross, with a cover design by Deranged Doctor Designs and proofreading by Coinlea Services.